As teased, by the company, HTC has launched the new HTC Desire 12 and the Desire 12+ in India. Both of these are budget smartphones from HTC, a pioneering brand in the field of portable communication devices and smartphones. The main highlights of these two smartphones are tall displays with 18:9 aspect ratios and a durable acrylic glass back surface. The only physical difference seems to be with the display size and rear camera module, as the Desire 12+ comes with a bigger display and a dual camera setup on the back. In terms of specifications, the HTC Desire 12 features a 5.5-inch HD+ IPS display with an 18:9 aspect ratio. The phone is powered by the MediaTek MT6739 quad-core SoC, coupled with 3GB RAM. In terms of camera, there is a 13-megapixel camera on the back with f/2.2 aperture, PDAF and LED flash, while on the front there is a 5-megapixel camera with an f/2.4 aperture. There is 32GB onboard storage, which can be expanded up to 2TB using a microSD card. Connectivity options on the phone include 4G LTE, Wi-Fi 802.11 a/b/g/n, Bluetooth v4.2, GPS/ A-GPS, Micro-USB, and a 3.5mm headphone jack. The phone packs a 2730mAh battery. The HTC Desire 12+ is an upgrade to the Desire 12 with a 6-inch HD+ IPS display with an 18:9 aspect ratio. There are changes in hardware as well as the phone is powered by the Qualcomm Snapdragon 450 octa-core SoC, coupled with 3GB of RAM. On the HTC Desire 12+, there is a dual camera setup on the back which consists of a 13-megapixel primary sensor and a 2-megapixel depth sensor. Due to the dual camera setup, the phone offers Bokeh mode along with Face detection and Panorama mode. On the front, there is an 8-megapixel camera with an f/2.0 aperture. In terms of storage, connectivity it is the same as the Desire 12, however, it packs a slightly bigger 2965mAh battery. The HTC Desire 12 is priced at Rs. 15,800, while the Desire 12+ comes with a price tag of Rs. 19,790. 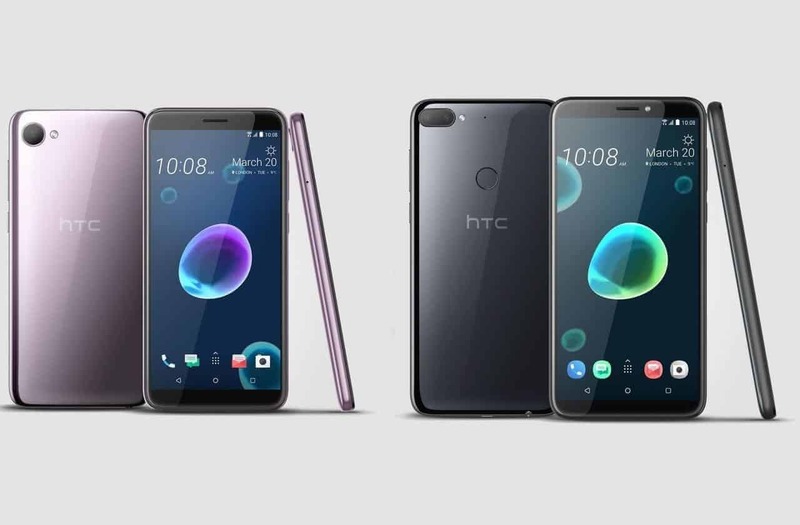 Both smartphones will go up for pre-order via the HTC India E-Store on Thursday, June 7 and starting from Monday, June 11, both of these smartphones will go for sale in India. The HTC Desire 12 and the Desire 12+ will be available in two color variants – Cool Black and Warm Silver.